Skype interviews help us to save time and money. Job seekers and employers alike–both can benefit from this effective way of interviewing for a job. What’s more, to be “green” is trendy, and to interview people online is definitely ecological (nobody travels to the interviews, no need to burn petrol, no CO2 emissions). But how to ace a Skype interview? And how does it differ from other forms of interviewing, such as face to face, or phone interview? What should you prepare for? We will try to answer all these questions on the following lines. Enjoy! You should always check your internet connection, microphone settings, web-cam functionality, and headphones. If possible, make a test call to your friend (and if not, use a Skype bot for this call). Can they hear you properly? If they can not, work with the position and volume of your microphone, until they can hear you clearly and loud. And if they can not hear you at all, check your microphone settings and Skype settings (sometimes a firewall blocks Skype from accessing your microphone, and you will need to manually allow the access–google for a simple solution to this problem). Can you hear them well? If you struggle to hear their words, try to play a bit with the volume and your settings, until you can clearly hear every word they say. Remember though that the problem can be also on their side–perhaps their position of microphone is wrong, or they need to increase the volume of their microphone. If you can not tell if a problem is on your side, or their side, call to another person. Do they see your face in the middle of the screen? 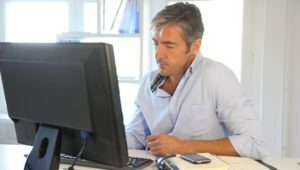 If they struggle to see you, play a bit with the position of your web-camera, and adjust your distance from the computer screen. Your face should be the main thing the interviewer sees while talking to you. Do they see anything disturbing on the screen? Dirty socks lying on a floor? A messy bed? If your friend spots anything that takes their attention away, or anything that can present you in a bad light, you should remove it, and clean your room. Alternatively, if you do not have time to clean it or are lazy, you can walk away with your laptop and do your interview in a garden, cafeteria, park, or perhaps just in another room of your flat (but not in the bathroom :)). Skype interview is still a job interview. Put on your best clothes, clean and ironed. I have once seen a man wearing pajamas when I interviewed him on Skype, and it is not uncommon to see people wearing casual clothes. Skype interview is not a midnight call with your boyfriend. Dress in the same way you would dress for a face to face interview. Do not underestimate the choice of your clothes. Try to sit in a quiet room. If you have children, send them to play outside, or ask someone to babysit them. If you have a dog, ask someone to take it for a walk. And if you have to sit in a lousy internet coffee, choose the most quiet place in the corner, and ask the crew to close the door and turn the radio volume down. If you tell them that you interview for a job, they will do it for you–at least most of the time. Prepare everything you may need – your resume, glass of water, a cheat sheet with answers to interview questions. You should not leave your chair in the middle of the interview. Body language also plays a role, and that’s exactly why some employers prefer Skype interviews to phone interviews. It is easier for them to see whether you tell the truth, whether you are enthusiastic about the working opportunity, etc (check body language in the interview article). Record your online interview. This is something you can not usually do in the traditional face-to-face meeting with an employer, or while talking to them on the phone. With Skype, however, you can use various tools to record any calls you make (Pretty May is a good one, and a free one). You can listen to the recording a few times, trying to analyze your interview answers and identify mistakes you made. It will help you to improve your interviewing skills over time, and also (observing the reactions of the interviewers retroactively), you can understand how they reacted to various answers you made . 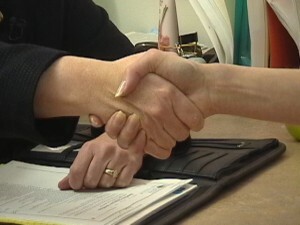 Once the interview is over, do not forget to ask them about the next steps of the recruitment process. Skype interview can be the only interview they make with you (when trying to get a job on a cruise ship, for example), but typically it is just the first stage of the hiring process. Ask them what’s next, and show your interest for the job that lasts also after the interview with them. Skype interview is a cost effective and ecological way of interviewing job applicants. It is also better for you, becasue you can interview from your home (familiar environment), and you do not need to travel anywhere. This should help you to lower your stress levels, and to feel confident. Interview Success Package – Great answers to thirty most common interview questions, and a guide that will help you to win the hearts of your interviewers. Get ready for each difficult question, get rid of stress, and ace your job interview.